Type designer and illustrator Rian Hughes (who appeared at Eye’s Type Tuesday in March 2017) has been mining another rich seam of vintage type, this time focusing on Custom Lettering of the 20s and 30s. 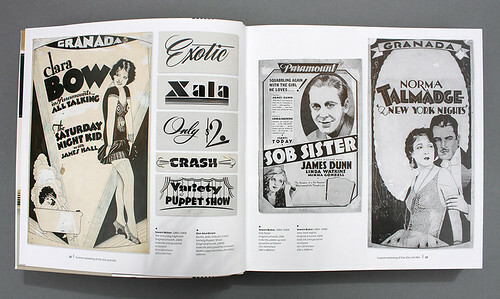 Spread from Custom Lettering of the 20s and 30s showing artworks by Jewett Bubar and Don Sturdivant. 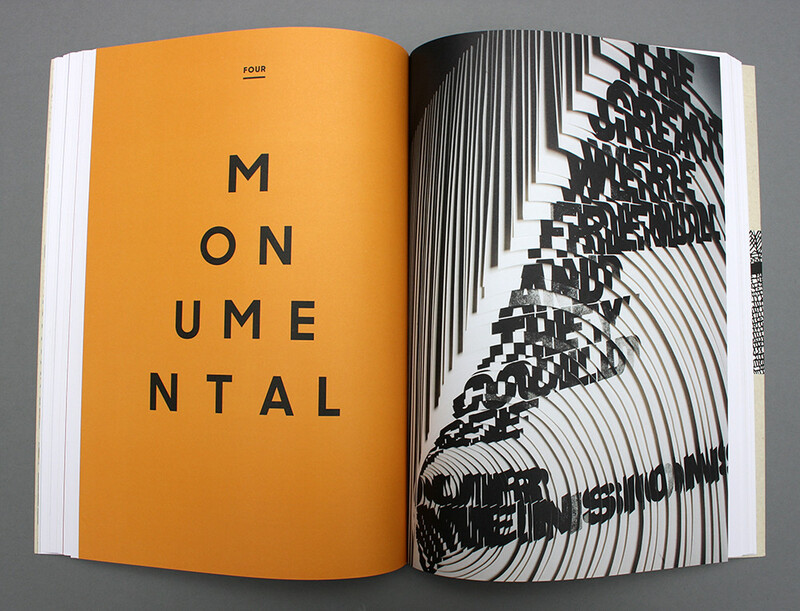 Top: Spread from Type Tells Tales showing Alida Sayer’s The Creatures Were Friendly, 2009. 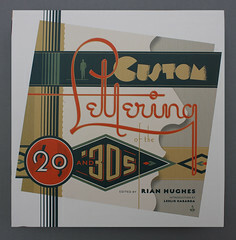 Rian Hughes, Custom Lettering of the 20s and 30s, Korero Press, £29.99. 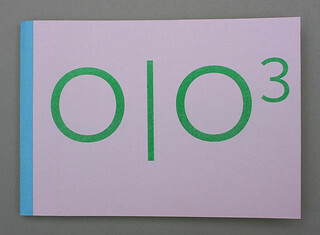 Word Disco, from Barrie Tullett’s Caseroom Press (£10), is another example of what Tullett calls ‘typographic frippery’, gnomic utterances set in distorted coloured type compositions that are slightly reminiscent of Sister Corita Kent’s work (see ‘All you need is love: pictures, words and worship’ in Eye 35). Found poem from Overheard Overlooked 3: Word Disco by Ashley Gobler. Spread showing a poem by Ryan Forrest. Overheard Overlooked 3: Word Disco. Original Concept: Ken Cockburn. Design and Production: Barrie Tullett. Simon Loxley’s book Type is Beautiful: The Story of Fifty Remarkable Fonts takes the reader from the Gutenberg Bible type, possibly cut by Peter Schöffer in the 1450s, to Venezuelan type designer Jose Luis Joluvian’s script face Zulia (2013), giving an overview of key points in type history and the dissemination of ideas and language through printing. 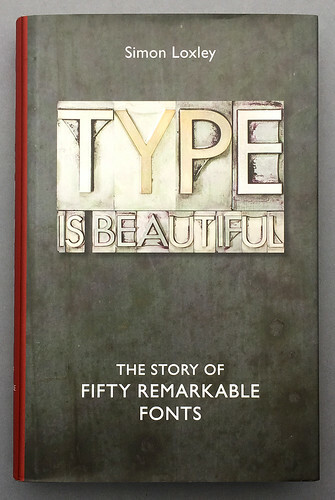 Simon Loxley, Type is Beautiful: The Story of Fifty Remarkable Fonts, Bodleian Library Publishing, £20. 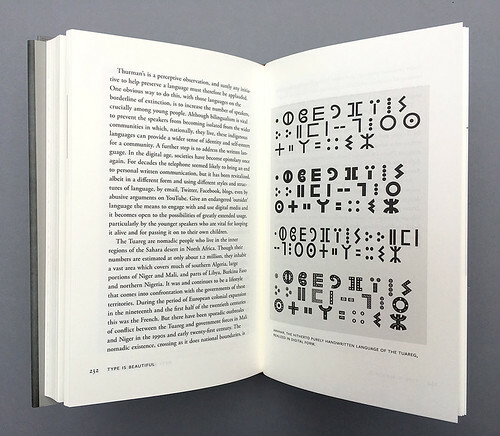 Type Tells Tales by Steven Heller and Gail Anderson is a stimulating compendium of type experiments and explorations, both contemporary and historical. These range from familiar classics (Marinetti, Cage, Massin, Drucker, Corita Kent) to local heroes such as Alida Sayer, Angie Butler & Philippa Wood and Sam Winston. Less familiar highlights include Wael Morcos’s Arabic type Justification Posters (2009), Donald Wall’s Visionary Cities (see Eye 32) – which anticipates Tomato by two decades – and Tom Hingston’s animated typography for the video of Bowie’s ‘Sue (Or In A Season of Crime)’. 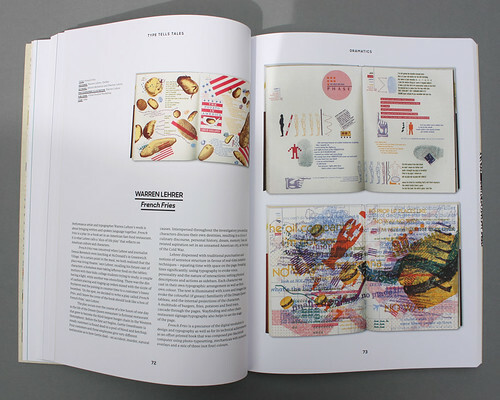 Spread from Type Tells Tales showing performance artist and typographer Warren Lehrer’s French Fries, 1984. Spread showing Filippo Tommaso Marinetti’s Les mots en liberté futuristes (Futurist Words of Freedom), 1919. 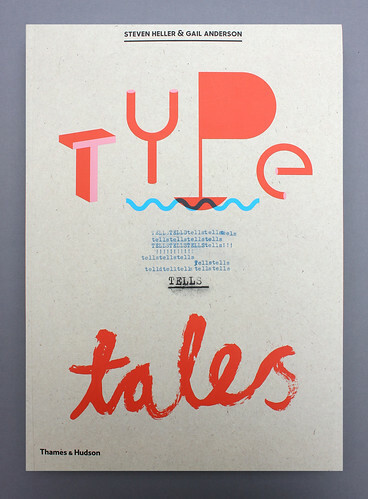 Steven Heller and Gail Anderson, Type Tells Tales, Thames & Hudson, £24.95. 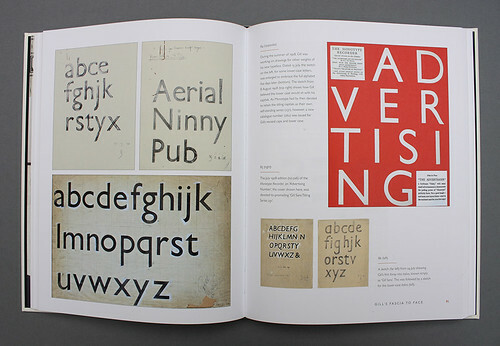 The first chapters of Mark Ovenden’s Johnston & Gill: Very British Types unpick the story behind Edward Johnston’s London Underground typeface Johnston Sans, on which his former student Eric Gill helped out (Johnston gave Gill ten per cent of the 50 guinea fee). 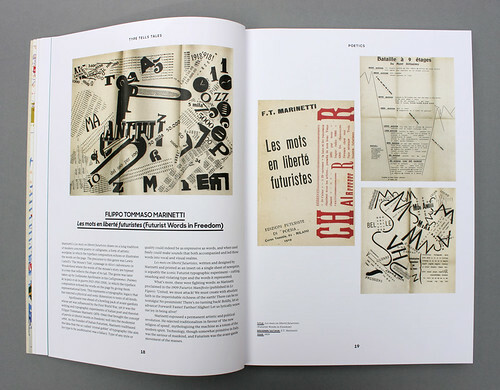 Spread showing drawings for new weights of Gill Sans, dated July 1928, as well as the cover of the Monotype Recorder no. 226 devoted to promoting ‘Gill Sans Titling Series 231’. 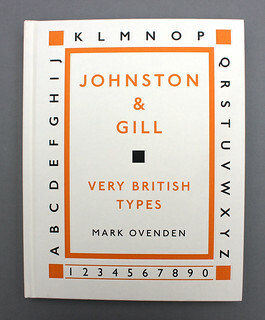 Mark Ovenden, Johnston & Gill: Very British Types, Lund Humphries, £40.